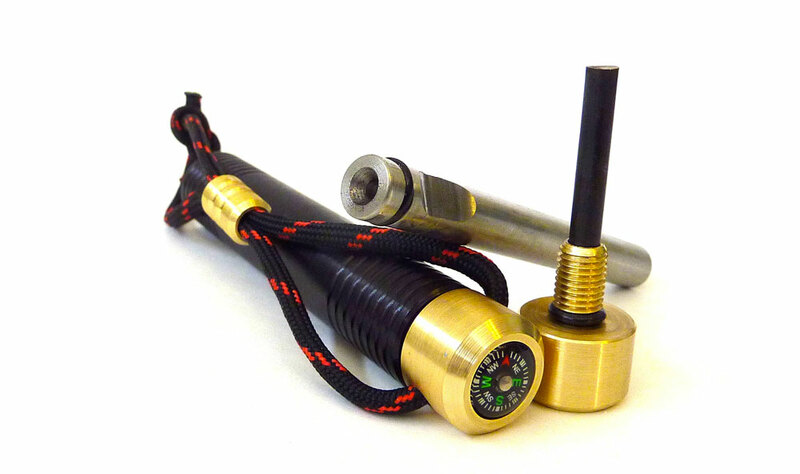 A Hand Machined Fire Piston is the best Christmas gift for the best part of after Christmas: the Christmas Tree Bonfire. My friend Mikey Z holds one every year, inviting all he knows to bring their dead, dried-up firs and pines to a big public beach for a slightly different kind of tree lighting ceremony. We ring in the holidays with strands of bright bulbs and eggnog, why not ring them out with 6-foot flames and paper bags filled with 40s? Butterfield Machine's Fire Piston stays true to the fire starting tools' mid-1700s functional design. 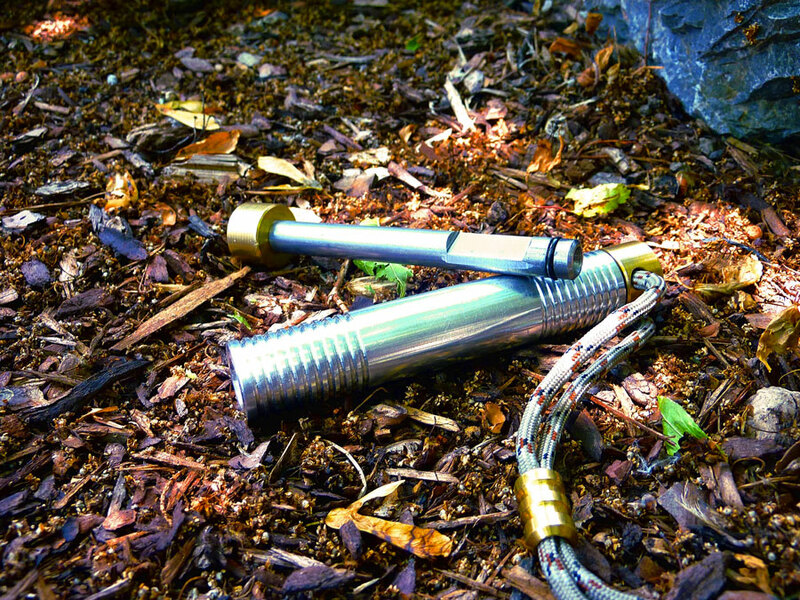 It gathers heat as you pump the piston pin, rapidly compressing air and, ultimately, igniting a piece of tinder you can then use to light your kindling. (Charcloth is recommended for the tinder.) The Piston body is made from a solid piece of 6061 aluminum, with brass caps on each end. One end also has a nifty liquid-filled compass accent, while the other makes room for a 550 Live Fire Gear FireCord lanyard. The lanyard bead is also machined from solid brass. 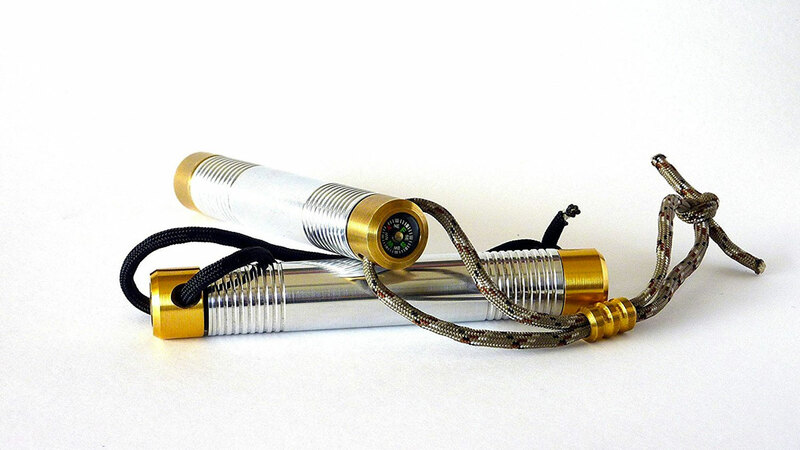 At over $100 a pop, these are fire starters machined to light a lifetime worth of fires. Measurements are 4.78" long x 0.732" in diameter. Weight is 5.3 ounces.